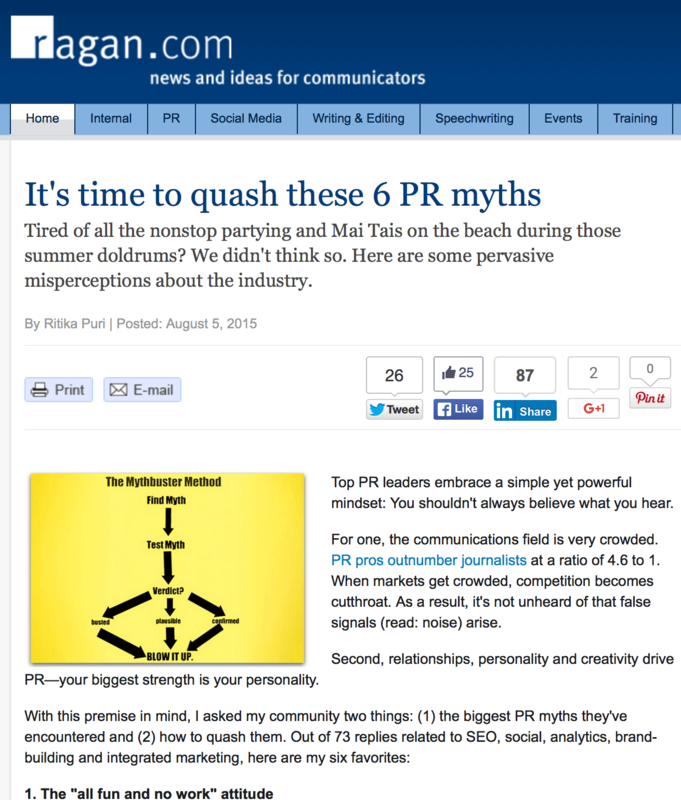 I was honored to be included in a piece on Ragan about PR myths – and what the real truths are! Public relations isn’t all that you think it is. Tune in here for a good read on debunking PR legends.